Find your perfect look and hire it for the special event. Enjoy the garment for the number of days you chose. Simply return it to the lender. List the items you’d like to lend. It is free and easy. Chose the rental period, delivery method and manage listing availability. After approving new order, arrange a delivery of the item to Renter. Item availability will be updated automatically. Money will be transferred to your account within 48 hours of the rental start date. When the item is returned, simply dry-clean it. Jovani prom gowns are designed to make every girl feel like royalty on prom day. We are delighted to offer stunning prom and evening dresses by Jovani and countless more luxury brands women know and love. This collection is infused with elegance and fair that empowers women of all ages and silhouettes to look and feel their best. 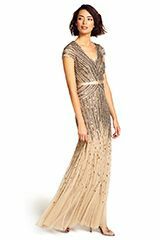 My favorite beaded, evening, bridesmaids and day dresses are shared here.